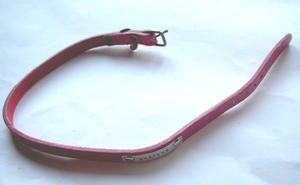 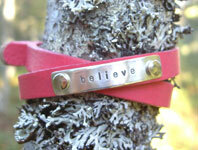 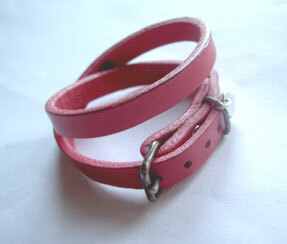 Cool leather bracelet in real leather (coloured in hot pink). 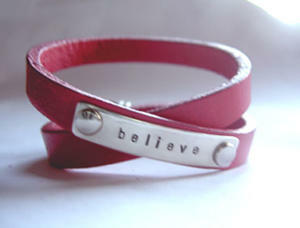 Wire it twice around your wrist. 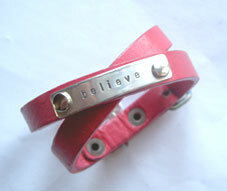 Sterling silver tag with the word "believe"
The nickel on the bucket and backside rivets has been burnt away, that´s why the color is a little greyish.